Infants carry a disruptive power. Their births can drive entire families to homelessness or lengthen their stays in a shelter. 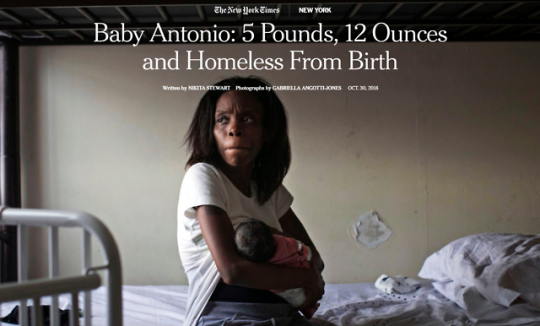 Nikita Stewart, writing for The New York Times, shares the remarkable story of Baby Antonio. When he left the hospital, he joined 11,233 under the age of six who are currently living in New York City’s shelter system. Read it HERE.